Long gone are the days of wanting to change your hair colour dramatically but holding off because it might snap off. Kim Kardashian proved that during Paris Fashion Week earlier this year when she went from dark brunette to platinum blonde within a week without a hint of breakage – but do you want to know how she did it? It was with a hair product called Olaplex and it has just landed at Off London! Hair technology over the years has changed considerably and what was once a wild faraway dream can now be turned into reality. So if you’re a brunette, who has forever dreamed of being a blonde we can now do that for you with Olaplex and you won’t need to worry about the health of your hair. Olaplex is free from silicone, sulfates, phthalates, DEA, aldehydes and is never tested on animals. Instead it reconnects broken bonds in the hair that are broken during thermal or chemical services. I.e. – changing your hair colour from dark to light. But the best thing? The protection that Olapelx offers is permanent. Using Olaplex will not only provide your hair protection during your colour treatment but it will also make your hair stronger, healthier and your colour last longer too. So even if you don’t want to change your hair colour dramatically, you can still use it for extra protection on your colour treatment. Sound interesting? We’re answering a few commonly asked questions for you below. When Olaplex is mixed with your hair colour it creates new bonds. These protect the hairs inner structure to improve strength and elasticity. Then when Olaplex has combined these new bonds they nourish the hair shaft to provide moisture and care. Leaving you with a silky, soft and shiny new hair colour. Olaplex won’t add any additional time to your salon visit. The product will be mixed into your colour and left on your hair like it normally would. Do I need to go platinum blonde? No. Olaplex can be used on any type of colour lightening treatment so you don’t necessarily need to be making an all over dramatic change. Olaplex can be mixed into your colour for lighter highlights, balayage and even straightening treatments or perms. Soybean Isoflavones: Add nourishment to improve the condition of your hair. N-acetyl-L-cysteine: This makes bonds and protects the hair. Amino acid: Adds moisture and strengthening properties that preserve the moisture of the hair and repairs the damaged parts. Speak to your stylist during your next salon visit to see if Olaplex can be used for extra protection with your next colour treatment. 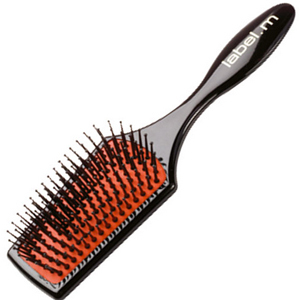 You might not think that your hair brush is important but having the right one to suit your styling needs will make a world of difference to your finished look. 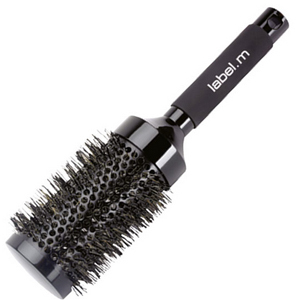 Brushes were made to remove knots, tangles and generally smooth your hair. But they also stimulate blood supply to your hair follicles, which in turn encourages healthy hair to grow. The action of brushing was initially to help it lie flat and this is still what most brushes are generally used for. Although when you have a good one you’ll remove more dead cells and dirt build up as well. 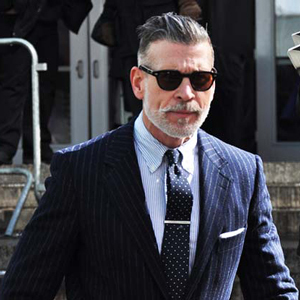 That’s why the better the brush, the longer your look will last and the better your style will hold. 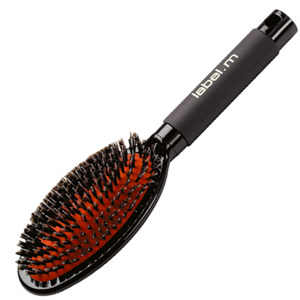 So what type of brush are you using? 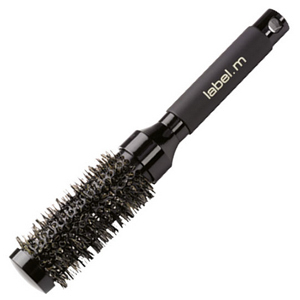 More importantly, is it the right brush to suit your style? You should really have a brush for blow-drying and one for when your hair is dry. But if you’re still confused we’ve put together a list of some of our fave Label M brushes to help you below. – Perfect for adding shape to short styles too. 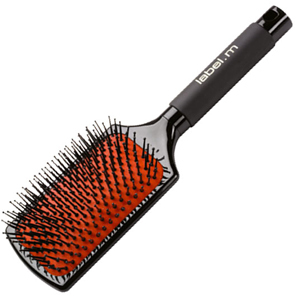 Don’t forget you can chat to your stylist to help find a perfect brush to suit you. All of these brushes are available to purchase in the salon. 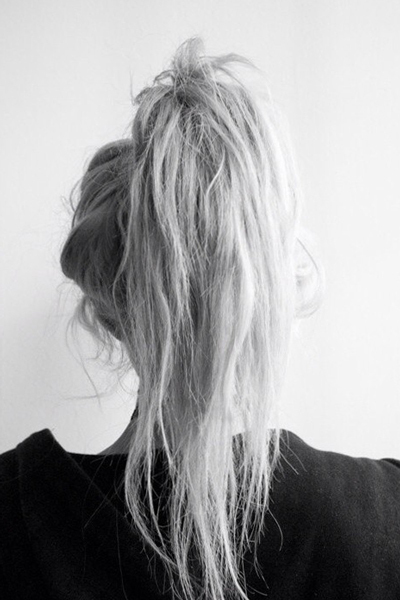 Whether for the weekend or a night out, throwing your hair into a messy ponytail can be the easiest and quickest way to make your hair look ‘done’. 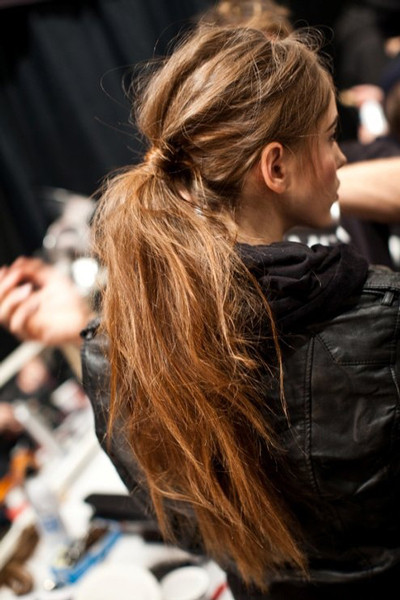 Plus it’s a style that works wonders on days when your hair won’t do what it’s told. 1. Make sure your hair is dirty or at least a day old. Drop your head back and use your fingers to pull your hair from the nape up into a ponytail and secure at the top of the crown. Best not to try and make it too high. 2. Once secured use your fingers to ‘messy’ up the front of the hair. or push your palm flat on areas to make the style look worn in. you can also pull small strands out from the side of the ears to make it look even messier too. 3. If your hair hasn’t been washed your ponytail should remain textured. So you shouldn’t need to do anything else to it. 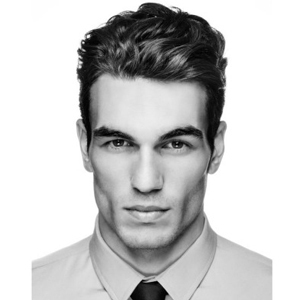 Finish off the look with a spray of a medium hold hairspray. We lovel Label M’s hairspray. Some further inspo for your weekend ahead is below. Happy styling! 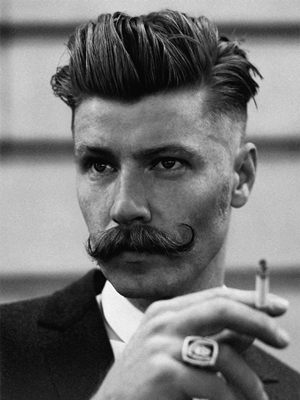 Men’s hair trends come and go. 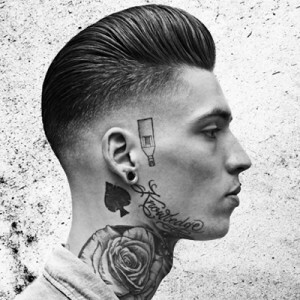 And while scruffy, unkempt looks have recently reigned supreme, this year simple, classic locks will be in style. Now it’s all about clean lines, structure and even a little height. But if you don’t think that could work for you, growing your hair long (as in a bob) could be another path for you to walk down as well. 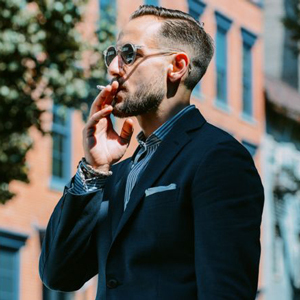 Whatever you choose, we say ditch the ‘I just woke up’ look and take a trip back in time to something a little more sharp with a greater ‘gentleman’ vibe. 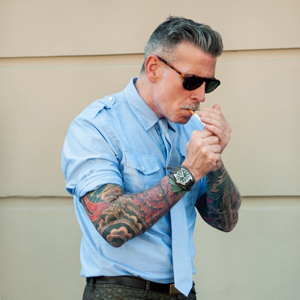 Images: American Crew, Reuzel, Pinterest. There’s no doubt that the biggest trend to hit the lady hair scene right this second is the crop (ie. cutting your hair short). 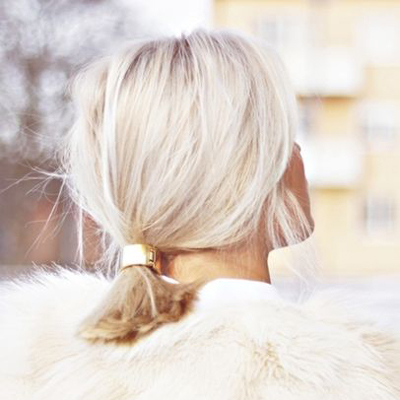 But before you let Bingle, Richie or Sienna’s brand new locks talk you in to taking the plunge let senior stylist Annalise share some of her wisdom on whether this trend could work for you. How does a lady know that they’re really ready to update their look? The start of a new year is always a good time to make a hair change. Especially if you’ve had the same style and colour for a long time. It’s important to shake things up and although we’re here to help you stay on trend, communication is also key when talking about a major change. Don’t rush into it. Take the time to talk it over, bring in pictures and let your stylist help you find a version of short hair to suit you. What face shapes will suit the crop? The crop is actually a style that will suit almost anyone! 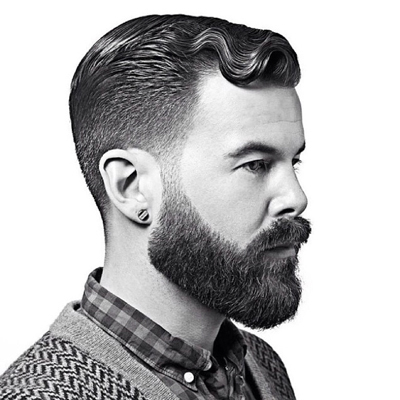 Although people who have been blessed with an oval shaped head will be able to pull of this look the most. But they can pull off most looks. Who shouldn’t cut their hair into a crop? 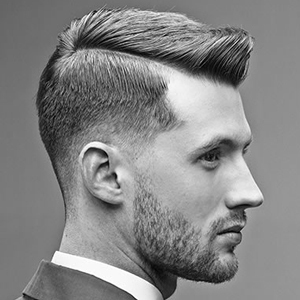 People who have short square shaped heads should probably steer clear from going too short, because the shorter you cut your hair the more it can accentuate your features. Also people who have really round shaped heads are probably better off going for a longer style like a lob (longer bob) if they want to stay on trend. What does this year’s crop look like? This year’s crop is quite soft and feminine. It’s textured, a little broken but very natural looking. It’d be very easy for a lady to throw their own spin on it or even add a fringe for a sharper look. 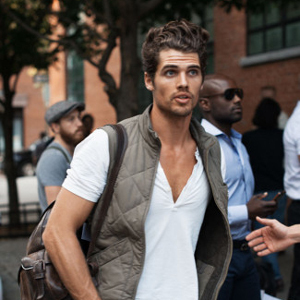 And because it’s unstructured it’s very easy to style. 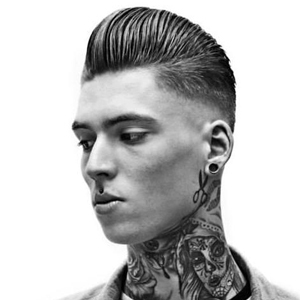 The best products for this style? 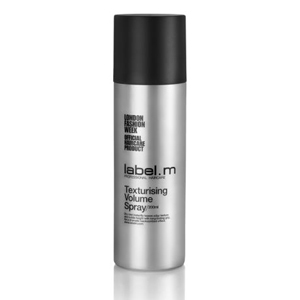 Label M Texturising Volume Spray – This spray is a cross between dry shampoo and hairspray (the best of both worlds). 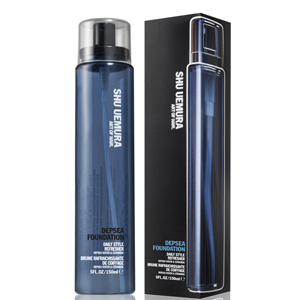 Spray it close to the roots on dry hair and it will add volume, texture and even height to your finished look. Shu Uemera Daily Style Refresher – This product is like a sea salt spray although will give you a much more natural finish. 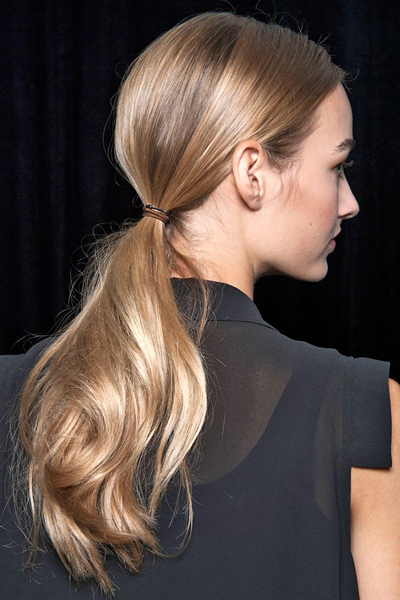 Spray it evenly through damp hair and blast it dry for soft tousled locks. Ps. This week we have one Label M Texturising Volume Spray (above) to giveaway. All you have to do is like this post on our Facebook page to be in with a chance to WIN. We’ll be giving away something new each week so stay tuned. Also, if you have any hair questions you’d like answered don’t forget to email info@offlondon.com.au so we can help you out right here! Hi there ladies and gents. Happy 2015! We’re so super excited for this year and are planning for it to be as big as Beyonce’s hair. Or bigger. Maybe we should aim for the Carrie Bradshaw? Anyway, we have been so super busy over the last few months, as some of you would know. But now that the craziness of the Christmas and New Year period is over, we’re finally ready to launch our brand new blog. This year we’re not only pumped because we will finally get to take you behind the scenes of the salon where you will learn all about our stylists and the fun new hair skills they’re being taught. But with the launch of our blog, this year, we’ll also get to answer all of your hard-hitting hair questions as well! And we know you always have many. From hair trends, to styling, to our favourite catwalk looks and inspiration, this blog will now be a fun new place where we will get to share all of that information with you and we’re so excited for you to join us. Because how hard can hair decisions be sometimes? Seriously, should you go for the Bingle cut…or keep your mane looking like Candice Swanepoel’s? 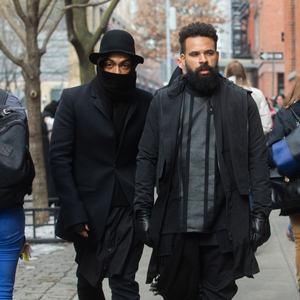 What colour trends are on the horizon? And what really is the difference between balayage and ombre? 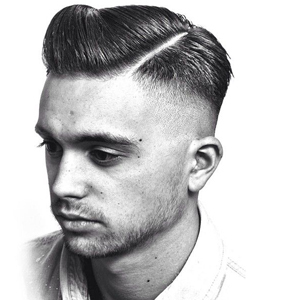 And boys – how long have you had the same cut and style for? Could 2015 be the year you shook things up? Anyway, we hope you get as excited about us sharing all of this super, interesting hair information as we are! We would love to know what you think. Plus, we would love it if you could share this blog with your hair loving friends too. 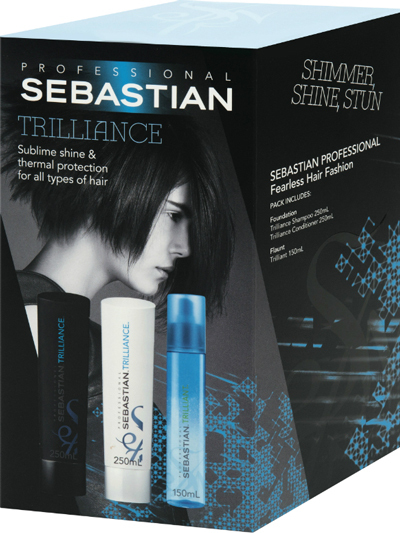 Actually, if you share or like this post on our Facebook page you’ll go in the draw to win the ‘Sebastian Trilliance Pack‘ below. It’s guaranteed to give you shiny, beautiful new locks. So what are you waiting for? Ps. if you have any hair/styling questions we can’t wait to hear them. All you have to do is email info@offlondon.com.au and before long your conundrums will all be answered right here.